When most of us think of an eating disorder, we are often met with the image of a young girl trying to lose weight in order to fit in with her peers or idols. However, despite what the media portrays as eating disorders, the illness can manifest itself in a number of ways, affect both men and women – and sometimes the mentality behind skipping meals is not as simple as the end goal of losing weight. In fact, most recently, Binge Eating Disorder (otherwise known as BED) was internationally recognised as the “third” eating disorder – and rather than avoiding food to lose weight, those with BED often turn to food (and binging) in order to suppress strong emotional feelings or issues such as depression or anxiety. BED can also lead to a number of other mental and physical health problems including diabetes, heart disease, depression and severe anxiety. However, not all those who struggle with their eating are looking to lose weight or distract themselves from depressive thoughts – and some of those with severe mental health issues may use food (or a lack of it) as a form of self-harm or punishment. But what is the connection between our stomachs and brains? We all react differently to stress, depression, anxiety and other mental health issues – and for most of us, it also affects our desire to eat. Recently it was estimated that of all those who are obese in the USA, over one fourth are suffering from BED, and use food for comfort for their mental health issues – however, comfort is not the only thing that food can offer during times of mental hardship. It is not uncommon for those suffering from their mental health to suffer nausea or other types of stomach pain when faced with difficult situations, or throughout periods of ill-mental health. Whilst over a short period it is often not a problem, those who continue to skip meals or find eating difficult during mental illness often find their other symptoms worsening. Why would someone with a mental illness skip meals? When we experience a friend or a loved one continuously skipping meals it is often a sign that they’re trying to lose weight – however, for a person with poor mental health, the reasons can be a lot deeper. For example, some people who skip meals may do so for control – it might be the only thing in their life they feel they have control of – in order to feel like they have a grasp on at least one aspect of their emotions. For others, it could be a form of punishment. Often when we suffer from different mental health issues, we blame ourselves – often believing we, or our actions, are the driving force behind our mental illness – and therefore in order to get better we must punish ourselves for what we have caused. In addition to the above, often those with anxiety and depression also suffer from nausea and a lack of appetite when things get tough. When nausea begins, it is often difficult to turn to food in order to get back to “normal” due to the “bad feeling” in your stomach – this can often cause a vicious circle in which the person in question is unable to eat due to nausea, often causing more sensations in the stomach and abdomen (due to hunger) that can be confused with worsened anxiety and further avoiding food. Recently a new “eating disorder” has come to light, with the name Alcoholarexia – this is the term given to those who replace the calories in food, with the calories found in alcohol. 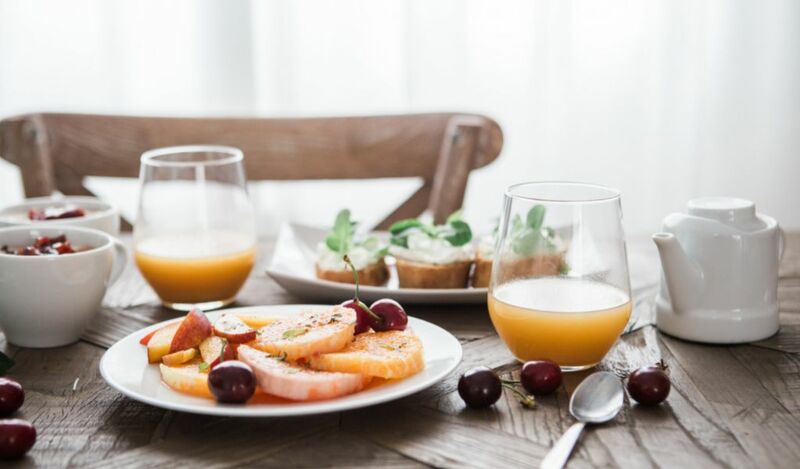 Whilst there are many ideas behind what causes alcoholarexia, most experts believe those who suffer from the condition avoid food throughout the day in order to not put on weight from the calories they will drink in the evening. However, perhaps in a more sinister fashion, those who are severely depressed may turn to alcohol to replace food – not in a need to maintain or lose weight, but in order to silence their negative thoughts and/or mental health issues. Whilst the person in question might not skip meals in an intentional manner to lose weight, often the person might fill up on liquid calories by accident and not seek the need for other forms of nutrition, leading to weight loss as well as a number of other mental and physical health problems. If you’re suffering with your mental health and believe that you may be abusing food or your diet, therapy is a great way to get back in control of your emotions and start living a healthy life once more. My Online Therapy is the UK’s first interactive platform, offering exactly what you would expect from a traditional clinic – but in the comfort of your own home. Unlike traditional clinics, there are no sky-high fees, long waiting lists or ridiculous commutes like often expected through private practice or the NHS – in fact, starting your first session is often as easy as a single click and a quick questionnaire to match you to the therapist and the therapy that is best suited to you. Learn more about our services and how we can help you through our online app – which can be downloaded through any app store – or through our website.